Prices from only US$525: without compromising safety and support, highly affordable volunteer opportunities. Support from teams in the United States, Europe and Ghana – we never just drop you in a country, we offer you support every step of the way. Home to four million people, Accra is many different cities in one. The office buildings in the business district reflect the growth of one of the most important economies in Africa, rich in cocoa, gold and oil. The lively neighborhoods in the city center host a mix of cultures, languages and religions. But beyond the heart of the capital, Accra has significant poverty. 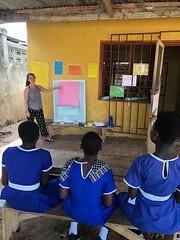 The volunteer projects are based in one of these neighborhoods outside Accra, about 45 minutes from the center of the city. The community faces many challenges, including poor infrastructure and sanitation, high unemployment and limited access to health services. 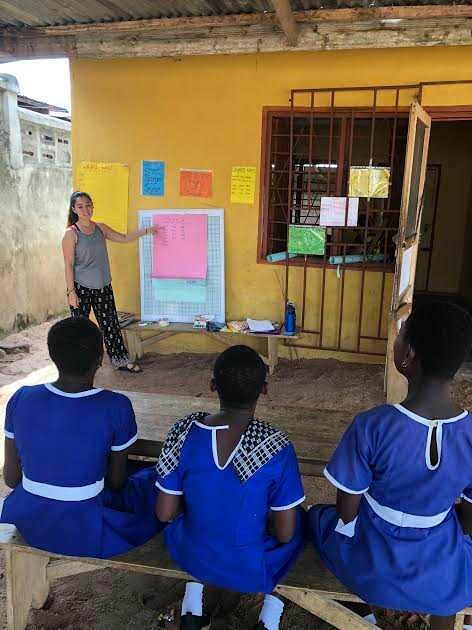 In Accra you have many volunteer opportunities, including teaching in local schools, assisting in campaigns to fight malaria and other preventable diseases and participating in an initiative to stop child labor. Click on the tabs above to learn more. 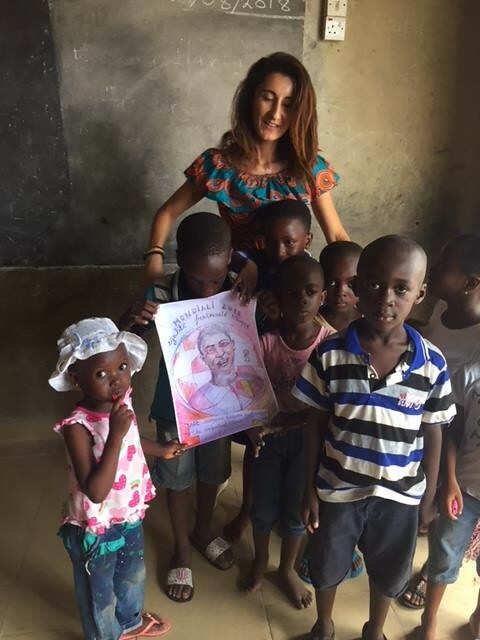 “After my two weeks in Ghana, ‘experience of a lifetime’ is no longer a cliché phrase for me. 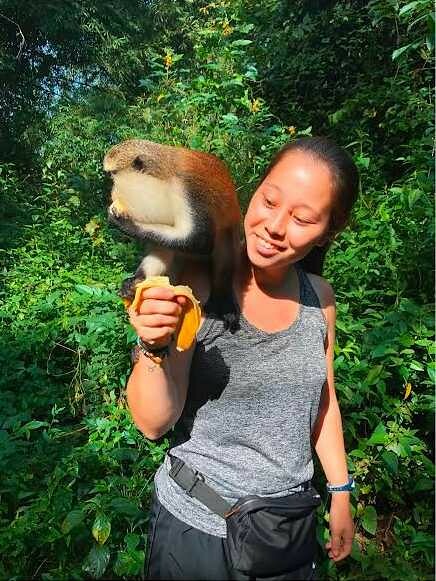 I feel that I truly made a difference in the lives of people in the community.” Stephanie Wong, UBELONG Ghana Volunteer from Australia – read her interview here. Shoddy infrastructure is an enormous problem in Ghana and most other African countries. Run-down buildings are a common site, and include schools, hospitals and community centers. While construction in Accra is on the rise, nearly all of it is going towards high-end developments where the money and influence is. 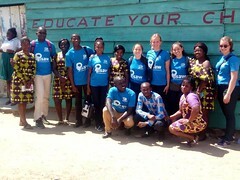 Volunteers bring energy and manpower to help build schools, and renovate buildings serving Accra’s poor. Volunteers live and work in a small community outside Accra. Volunteers work five to seven hours a day building a local school, and are involved in all aspects of the building process. Tasks depend on local need, and the skills of the volunteers. They range widely from block laying, painting, framing, roofing to pouring concrete. Volunteers may also contribute to other projects in the community, such as handywork, renovation and small construction projects. The project starts every Monday of the month and runs year-round, except between December 24 and January 2 (for groups of four or more, we may make an exception and allow an alternative start date – contact us to request an exception). 2. To join, you must be part of a self-organized group of four or more planning to apply and volunteer on the project together – we do not organize groups. 3. The project is dependent on local funding and weather. As such, there may be days when volunteers cannot work on the project and are expected to work on others. 4. 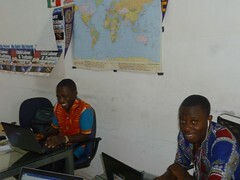 Each volunteer must bring to Accra US$20 in cash for every week of their placement. The money will go towards purchasing materials locally. A group of UBELONGers from Louisiana State University with new friends at the construction project! Greater Accra is caught in a web of complex problems that negatively affect access to quality education. Deficient infrastructure, overcrowded classes and materials shortages are common problems. There is a 40 percent school dropout rate in the area, mostly affecting girls who leave school to sell goods at the local market and children with learning disabilities. Those children are often denied education and services. Unemployment is high, forcing many families to seasonal migration, which also affects their children’s school attendance. Children’s malnutrition is another challenge that affects learning. Volunteers work with teachers to help create more interactive and student-centered classrooms. They bring enthusiasm and engage the students to help them learn, stay motivated and attend school. The volunteers also help broaden the students’ views about different people and places. Volunteers live and work in a small community outside Accra. Volunteers work five to seven hours a day with local teachers to help plan and lead classes for children 3 to 5 years old. The classes introduce children to basic concepts in topics like language and math, and stimulate the children’s emotional, personal and social development through discussions and playtime. There are as many as 30 children in a class, so volunteers are important in maintaining classroom order and providing the children with individualized attention. -The energy to keep young children stimulated. The project starts every Monday of the month and runs year-round except December 15 to January 15 (for groups of four or more, we may make an exception and allow an alternative start date – contact us to request an exception). Play time! 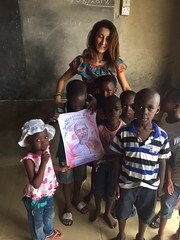 UBELONGer at the kindergarten with children from the community. Volunteers assist local teachers teach children ages 6 to 11. Volunteers work closely with teachers to create lesson plans, lead classes, create and grade assignments, supervise homework and provide individualized attention to students falling behind. Volunteers work approximately five to seven hours a day in classrooms of up to 30 students. They focus on one of the following curriculum topics: computing, creative arts, English, French, math, natural sciences and physical education. Volunteers can also get involved in sports activities such as coaching, organizing tournaments and playing with the students. -Native English speaker (only for English teaching) or native French speaker (only for French teaching). -Education and/or professional experience in a field related to the classroom topic. -Teaching experience and/or certification are not required. Michael, a UBELONG Volunteer from Italy, leading a science experiment with his students. Volunteers work five to seven hours a day with local teachers to help plan and lead classes for students ages 12 to 15, although there may be students who are older. Volunteers assist teachers in classroom instruction, grading, assigning homework and supervising students’ progress. They focus on one of the following topics: computing, English, French, math, natural sciences and physical education. Volunteers can also get involved in sports activities such as coaching, organizing tournaments and playing with the students. Skye, from California, teaching her students. Volunteers work five to seven hours a day with parents and teachers in a center for children with learning disabilities, for example dyslexia and ADHD. The children range from 6 to 13 years old and the center focuses on the children’s education, development and care. Volunteers read and draw, as well as do math and sports with the children. Volunteers also help the teachers by giving the children more individualized attention, for example by sitting one-on-one with children who are falling behind and/or need more attention. 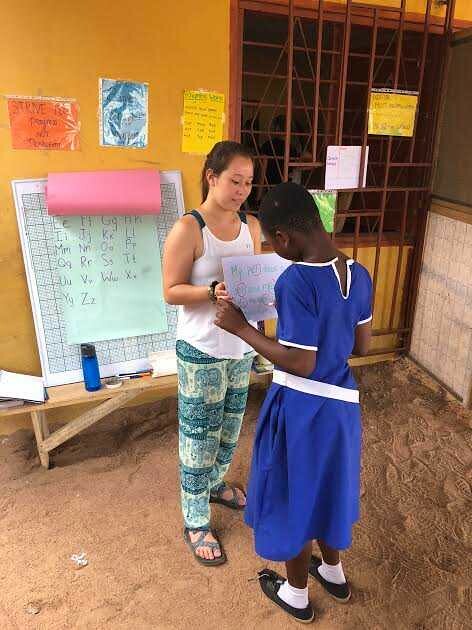 As the need arises, volunteers also help the teachers communicate with the parents about their children’s learning disabilities and how to best manage them. -The energy to keep children with disabilities stimulated. A UBELONGer in action with one of her writing students. Since the introduction of a national health insurance scheme a decade ago, access to healthcare facilities has significantly improved in Ghana, especially in urban areas. However, the urban healthcare system still faces multiples challenges. Most medical cases in Accra are related to poor sanitation. Malaria continues to be the primary cause of death, and diarrhea, typhoid, tuberculosis and skin infections are common. The HIV/AIDS epidemic remains a serious problem, and multiple organizations are supporting education about and treatment of the disease. In addition, reproductive health issues affect many mothers, and high rates of infant mortality and malnutrition persist in the area. The projects in Accra focus on both medical treatment and public health education. They empower volunteers to contribute to stopping the spread of HIV/AIDS and other preventable diseases, and to provide quality healthcare. 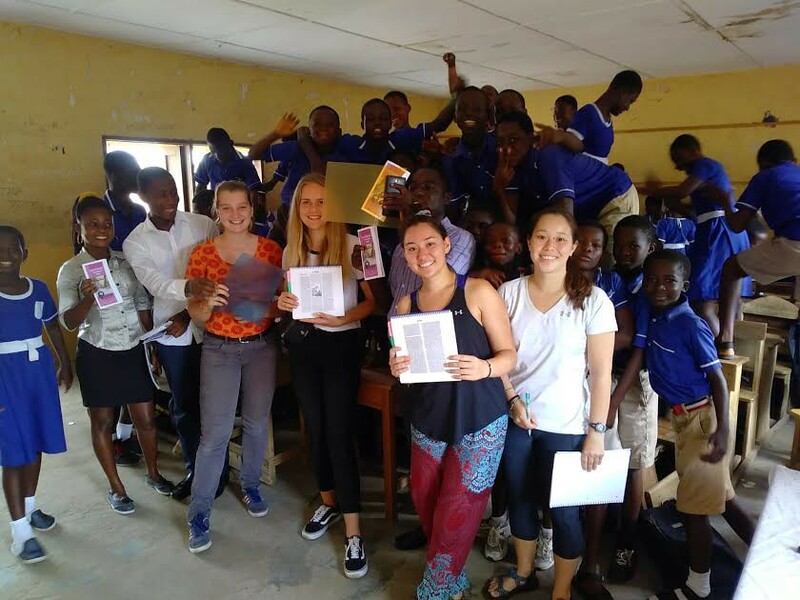 Volunteers live in a small community outside Accra and work in medical centers in the area. 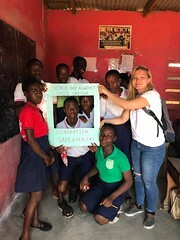 Volunteers divide their time between administrative and basic support at a hospital, and the preparation of health education workshops at local schools. Some days of the week, under the guidance of nurses, volunteers assist in basic tasks at a hospital. Activities may include weighting children, updating vaccine records, etc. Volunteers also devote some days of the week to the design and delivery of health education workshops at local schools and community centers on common diseases such as malaria, cholera, HIV/AIDS, tuberculosis and typhoid. In this capacity, volunteers deliver talks and assist with the logistics and scheduling of workshops. -The flexibility to participate in many different tasks depending on the ever-changing needs of the hosting organizations. -Education and/or professional experience in a public health or HIV/AIDS-related field. 3 weeks (for groups of four or more, we may make an exception and let you stay a week – contact us to request an exception). 3. As noted in the “cost” tab above, on this project volunteers pay an additional US$200 as a donation to the medical facility. Elena, a UBELONG Volunteer and Princeton student, leading a public health workshop! Volunteers work at a hospital for five to seven hours a day. They volunteer under the direction of local doctors and nurses. Depending on their qualifications, volunteers can contribute to a variety of medical areas with the local staff, including the treatment of tropical infectious diseases such as malaria and typhoid; emergency medicine; maternity; and primary care. The local doctors and nurses determine the level of responsibility delegated to volunteers, but activities may include assisting in the emergency room, maintaining medical records and suturing wounds. 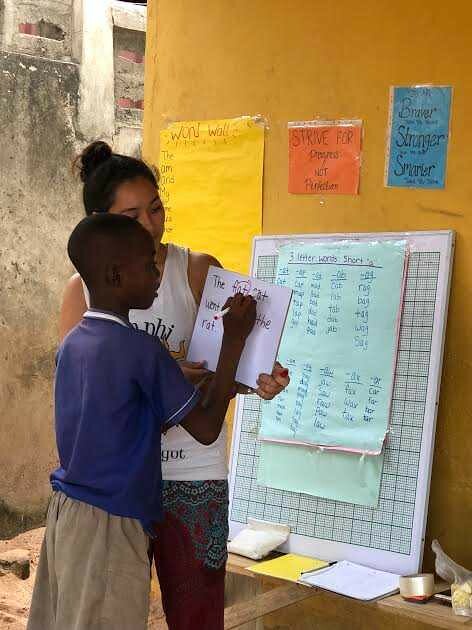 Additionally, depending on the local need, volunteers work with patients to educate them on topics like nutrition, personal hygiene, reproductive health and their own treatment and medication in the hospital. Some days are busier with patients than others, and, as for all UBELONG Volunteers, we expect volunteers to be flexible and help wherever there is need. -The flexibility to participate in many different activities depending on the ever-changing needs of the hospital. -At least a second-year masters student in medical or nursing school. 4. Medical placements can be very rewarding, but they are also very challenging. Ghanaian hospitals are very different than Western hospitals – there is a serious lack of resources and manpower. Volunteers accepted into the project must exercise a high level of independence. While the doctors and nurses are glad to provide support to volunteers, the priority of the local professionals is the patients. 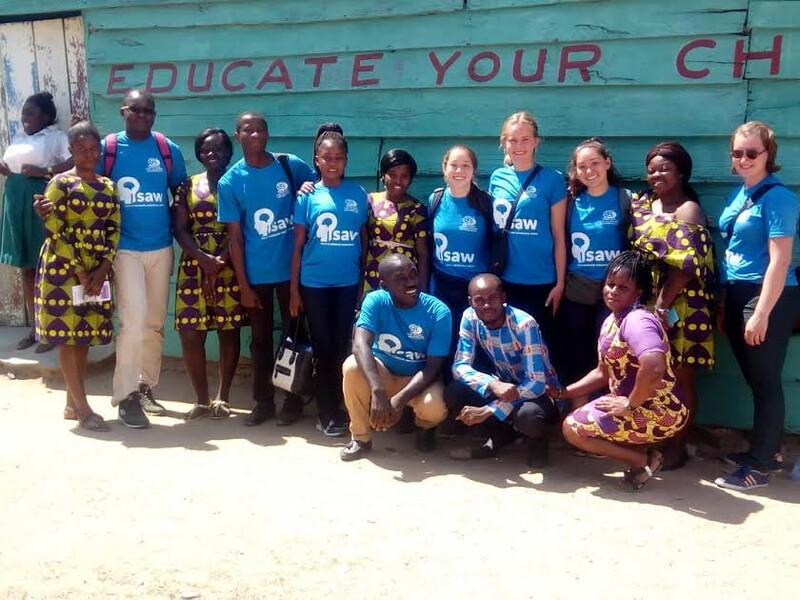 Volunteers must be proactive in contributing their skills and being ready for a context that can be very chaotic, resource-poor and unstructured compared to their home country. 5. Volunteers must bring their own basic medical equipment, including doctor coats, eye protection, stethoscopes and rubber gloves. 6. Volunteers must bring to Accra an official transcript from their university showing their coursework and/or a certificate proving they are a medical professional. Here is Abby, from Madison, Wisconsin, at the hospital in Accra examining documents. The minimum legal age to work in Ghana is 16, but close to 30 percent of children between 5 and 14 work illegally in the informal sector, according to government statistics. Over a million underage children work in Ghana. 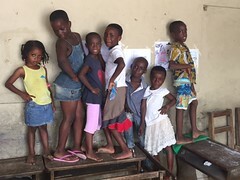 Close to the semi-urban community where the projects are located in Accra, children work in the fishing industry in very dangerous conditions and remain unprotected by law enforcement officials. Working children hired by fishermen are denied access to education and are held in servitude to work off their families’ debts. Volunteers in the project work directly with working children and their families, fishermen and schools to stop child labor practices in the area and raise awareness about children’s rights. Volunteers bring talent and skills, as well as fresh ideas. Volunteers live in a small community outside Accra and work in a nearby fishing village. Volunteers assist a local human rights organization that helps working children to get back to school in a fishing village. Volunteers work with project staff four to six hours a day and collaborate on every aspect of the project. Tasks include conducting interviews with child labor victims and the fishermen who hire them; entering and analyzing the data; attending meetings with community leaders to discuss findings; negotiating solutions to rescue children; and writing project reports for donors and the public. Volunteers also participate in the selection of children eligible for scholarships to return to school. 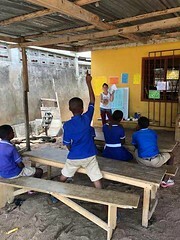 During the school year, volunteers may also devote time to teaching English at the schools where the rescued children study. -The flexibility to participate in many different tasks depending on the ever-changing schedule of the project. -Education and/or professional experience in a human rights-related field are not required. 4. 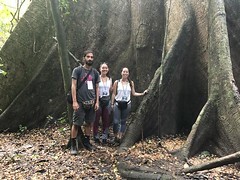 Depending on the needs of the organization and motivations and qualifications of volunteers, volunteers may have the opportunity to spend time in the field. However, like any high-skilled, post, this opportunity requires that volunteers spend a significant amount of time in the office, especially when they begin and are getting up the learning curve. Additionally, remember that volunteers are not interns – while guidance is provided, there is no formal training and volunteers are ultimately responsible for being very proactive in finding ways to contribute. 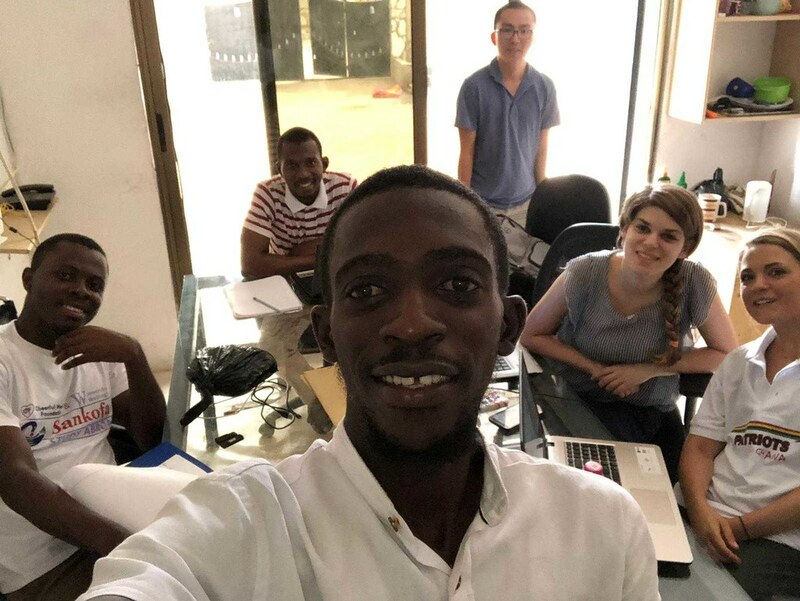 Finally, work habits and pace are probably very different than what volunteers are used to at home, and in accepting volunteers into this project it is with the understanding that they are self-directed, proactive and highly adaptive. This volunteer project is very challenging but, for volunteers with the right attitude, they will make an impact and find it highly rewarding. Angelo, from Milano, Italy, interviewing child labor victims in a fishing community. 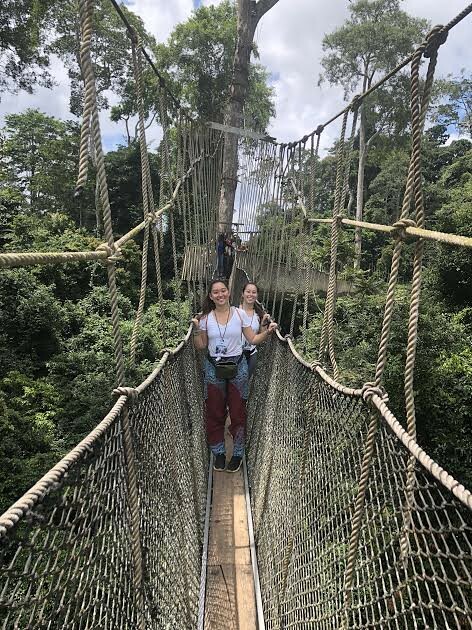 When you volunteer in Ghana with UBELONG, you embark on a life-changing volunteer trip that is all about volunteering, experiencing the local culture and making new friends. 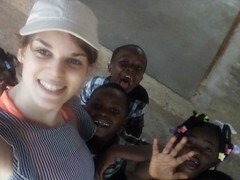 In Accra, choose to live in either a safe and comfortable Volunteer House or with a welcoming host family. Enjoy excellent food and have an authentic, immersive experience living as part of the local community. Read on to learn more! Jennifer Du Mond, from Yale School of Public Health, experiencing the local culture. You live with a local family or in a volunteer house. If you have a preference, please let us know in your application and we will try to accommodate you. Family stay: You live with a local family in a community on the outskirts of Central Accra where all the projects are located. The families are very friendly and welcoming, and their homes are the most affluent in the community. The homes have fans to stay cool, and you generally share a bedroom with one to three other volunteers. Bathrooms have flush toilets and are cleaned regularly. While some of the homes have showers, which are a luxury in Ghana, others do not. So, expect to take baths using a bucket of fresh water – while different at first, for most people it is an easy adjustment that further adds to the cross-cultural experience. The homes are all well located and within walking distance of conveniences like banks, grocery stores and internet shops. For laundry, you generally hand wash your clothes at the house – however, depending on your family, they may be able to do your laundry for you. Volunteer house: The house is in a quiet residential area in a local community on the outskirts of Accra where all the projects are located. It offers you a comfortable, cozy and vibrant place to live. You usually share a room with one to six other volunteers. 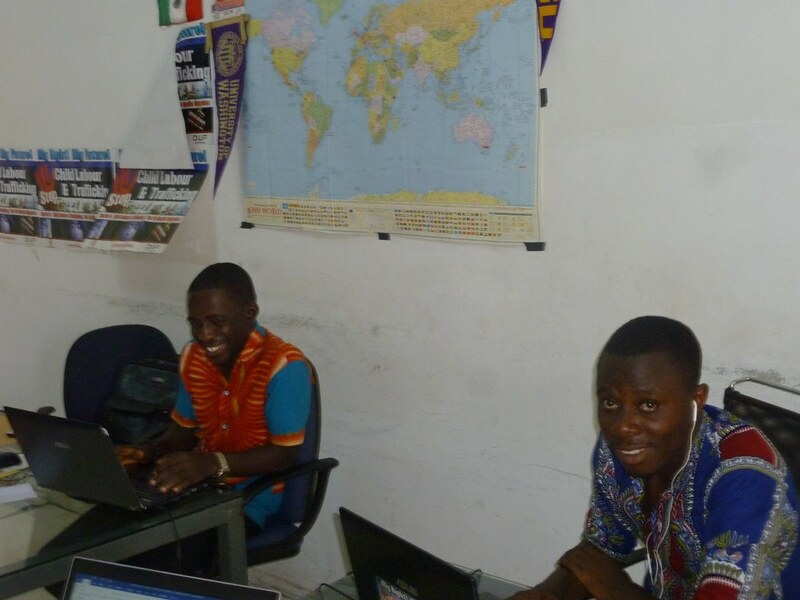 There is no wireless internet access, which is a rarity in Ghana, but we provide free access at the local team’s nearby office. There are fans to stay cool, and the bathrooms are modern and have flush toilets and showers. Bathrooms are shared and cleaned on a regular basis. For laundry, you can hand wash your clothes at the house, and the house is close to small convenience stores, internet shops and banks. The house also has a spacious living room where volunteers frequently get together to hang out and socialize. Please note: For groups of eight or more, we suggest you stay at a local hotel we work very closely with, instead of the Volunteer House. The Volunteer House is a very active and busy place that gets filled quickly. Staying at the hotel will give your group more opportunity to reflect and come together in a calmer and less busy environment. The hotel has a great meeting room and lots of common space outside to come together as a team. You have breakfast and dinner at the hotel, and you can still be part of the Volunteer House community, which is about 15 minutes away by taxi. You’ll feel at home at the hotel, but you can go to the Volunteer House for activities, meetings and to hang out. The extra cost is US$200 per person per week. When your group submits your applications we will reach out to you to further discuss this option. Thanks to the large number of ethnic groups that live in Ghana, Ghanaian cuisine includes a wide range of traditional dishes. Usually centered on a starchy staple, such as rice, cassava, yams or corn, Ghanaian food may include fish, goat, beef or chicken seasoned with a wide variety of spices and flavors. You can expect to eat basic but tasty food throughout your placement. Every day volunteers receive breakfast and dinner. Breakfast: A typical breakfast includes tea or cocoa drink, accompanied with oats or maize porridge, peanut butter and bread and fruit. Depending on your work schedule, you eat breakfast alone, with other volunteers or with your host family. Dinner: Dinner is the principal meal and is a popular time for volunteers to come together with each other or their host families. There is a wide range of local dishes, usually involving a meat or fish stew with rice or cassava. In addition to the main course, dinner often includes fruits. Trying new food at the Volunteer House – don’t worry, it’s ALMOST always delicious! Once a collection of small towns, Accra evolved from a colonial capital into one of West Africa’s largest cities. The capital is a microcosm of Ghana: exciting, chaotic and fun. 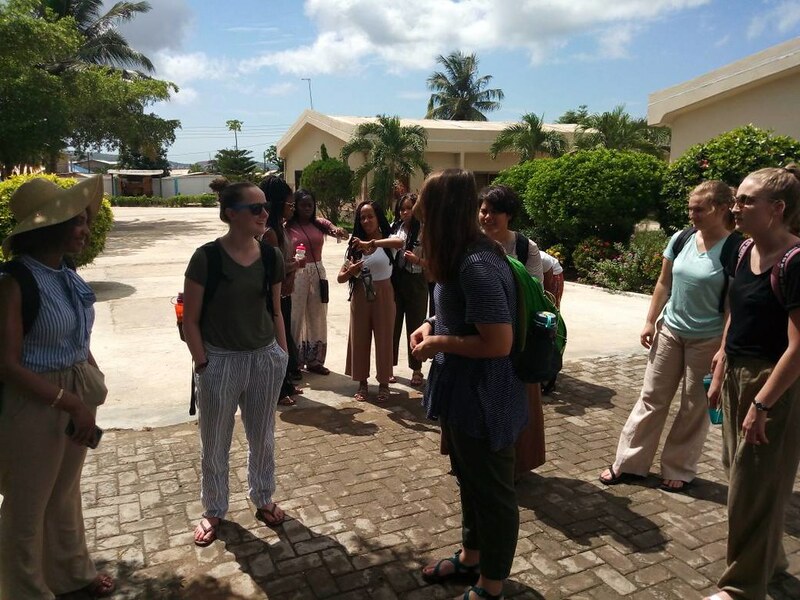 Volunteers often explore the city center, a mix of modern boulevards filled with businesses and remnants of Ghana’s colonial past, including the fort by the picturesque Jamestown fishing harbor. Exploring the maze of stalls at the Makola market to feel the rhythm of the city is a must, and one should not be afraid to practice their haggling skills at the Arts Center market. Volunteers also love to spend time at the nearby beaches on weekends, or exploring the small fishing villages by the coast. Taking a four hour bus ride to Cape Coast to visit the historical sights and enjoy the local beaches is another popular weekend activity. There are also opportunities for hiking and discovering the local fauna and flora at national parks like Kakum or Mole. For volunteers in the health projects, there is an additional US$200. The money is used to support the medical facility where volunteers serve in. For volunteers in the construction and infrastructure project, you must bring to the field US$20 in cash for every week of your placement. The money will go towards purchasing materials, for example brooms, paints and paint brushes. Airport pickup: When you arrive at the Accra airport, a driver meets you and brings you to your accommodations. First week extra R&R days: On the Saturday and Sunday prior to your first Monday, which is the start of your placement, your housing and food is included so that you can comfortably settle in. You can arrive earlier, just note the US$17 per night extra charge. Orientation: Our Local Team Leader gives you a volunteer orientation to introduce you to the staff and go over everything from living locally to the volunteer work that you will be doing. The orientation is generally your first Monday. Housing: You live in a comfortable volunteer house or family stay. To learn more, click the “living” tab above. Food: You receive breakfast and dinner every day. To learn more, click the “living” tab above. Additionally, in Accra lunch and miscellaneous spending like snacks and toiletries is not included. You may also have to take transportation to reach your volunteer project and you are responsible for the fare. Most volunteers budget US$10 to US$15 for each day of their placement for additional expenses in the field. I have neither travelled nor volunteered abroad. Can I still volunteer in Ghana? I’m an international development professional with years of experience. 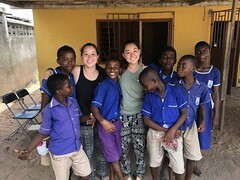 Can I still become a UBELONG Volunteer in Ghana? Can I volunteer in Ghana as part of a group? 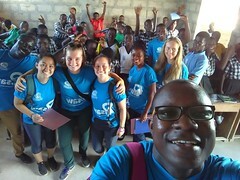 Will I make an impact volunteering in Ghana? Like in any large city where you are a foreign traveler, you must take precautions in Accra. There are parts of the city that are not safe, and you should be particularly careful with petty crime and traffic. Additionally, especially if you are a woman, you must be sensitive to cultural norms that may be different from those where you are from. However, Accra is generally safe and its citizens are very open and friendly. Once you become a UBELONG volunteer, we will provide you with extensive materials and support to help make sure you stay safe and comfortable. Tell me about safety in general. What kind of physical health do I need to volunteer in Ghana? While the projects in Accra do not require sustained manual work, life in Accra calls for energy and stamina. Some of the projects require a fair bit of walking, and it can be very hot and humid. For all of our projects you should be in excellent physical health. 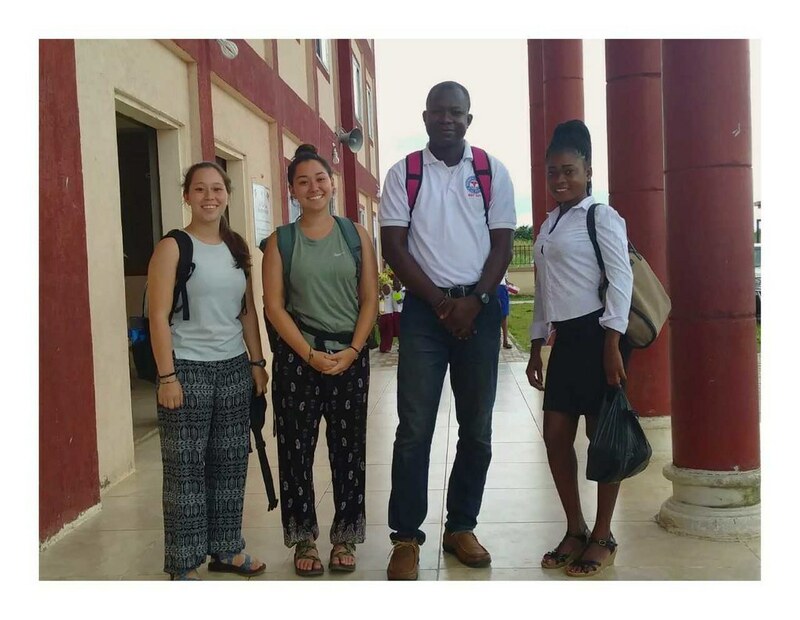 Prior to arriving in Ghana, we suggest that you visit your physician or a travel health clinic to ensure that you are in good enough health for your placement and to obtain any immunizations that you require. Ghana is a high-risk country for infectious diseases. Outbreaks occur regularly and malaria is prevalent, particularly from April to June. You should bring malaria medication and follow your doctor’s indications. Do I need a visa to volunteer in Ghana? Yes. All citizens of non-ECOWAS countries (West African nations) must have a visa in their passport prior to entering the country. Travel visa costs vary and are valid for up to 90 days. Once you become a UBELONG volunteer, we will provide you further information and guidance on obtaining a visa. How do I get to Accra? 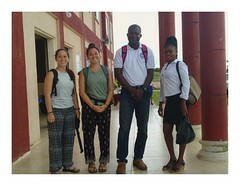 Most volunteers arrive by plane at Accra’s international airport, which serves points throughout the world on a daily basis. When should I arrive in Accra? We recommend that you arrive on the Saturday or Sunday before your first Monday. During your first week, housing and meals are included on the Saturday and Sunday before so that you can comfortably settle in. What happens when I arrive in Ghana? Can I volunteer back to back across multiple locations? For example, Accra and then Rabat? Your orientation happens on your first Monday and is led by our Local Team Leader. During the orientation you go over your project scheduling and receive further information about your work. You also meet other volunteers and staff, and learn where banks, public phones, restaurants, taxi stands and other local services are located. Is it OK if I do not speak one of the local languages? Yes. Although there are over 80 languages in Ghana, English is one of the official languages. Moreover, English is used in Ghanaian schools. Accra has a humid, tropical savanna climate. Located near the equator, the city has a temperature that is very stable with high temperature averages ranging from 76°F (24°C) in August to 82°F (28°C) in March. Variations between monthly averages are slight. There are two rainy seasons, a longer one beginning in April and extending to mid-July, and a shorter one in October. 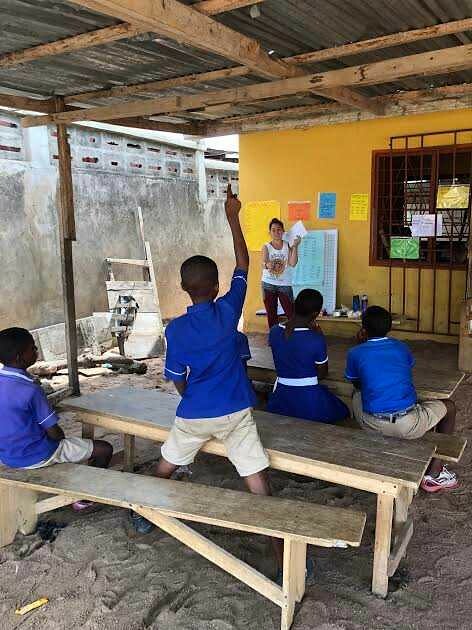 Why pay to volunteer in Ghana? 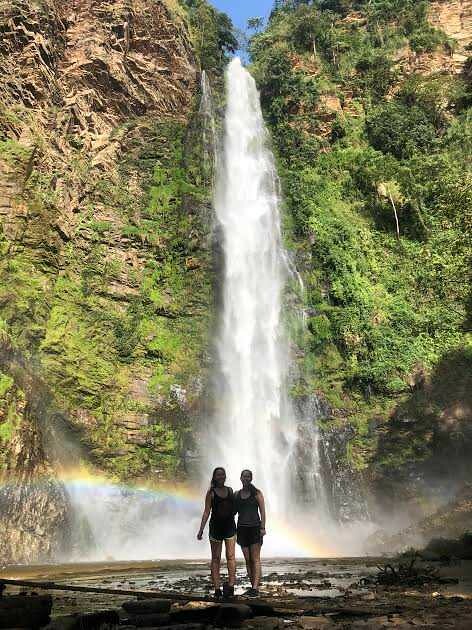 "An amazing experience that I will value for a lifetime!" "I wanted to experience traveling through a different lens." "A life-changing experience that makes you eager to learn." "The Ghanaian’s tenacity, optimism and good will was infectious." "UBELONG cares about the people they work with."